Turn your empty fireplace into an enclave of warmth and style with our carefully curated variety of high-quality fireplace screens and fireplace accessories. 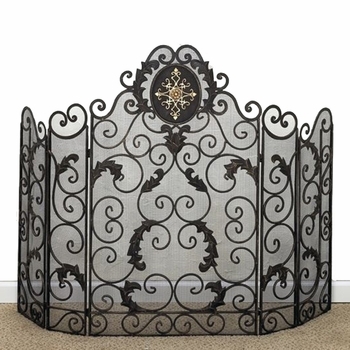 From hardy and high-class andirons and log holders to exquisite wrought iron fireplace screens, these pieces enhance both the aesthetic and functionality of your fireside sanctuary. Hearth accessories from Iron Accents are hand-crafted by skilled artists and blacksmiths to ensure originality, quality and value. Even if you have a simple, utilitarian fireplace, you can transform it into a cozy focal point using exceptional, ornate firebacks and fireplace candle inserts. 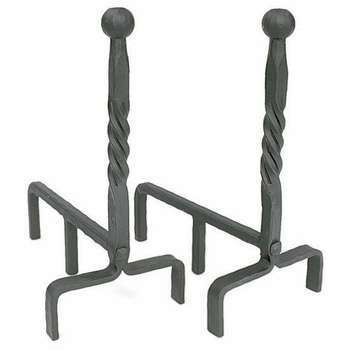 Iron Accents also specializes in ornamental wrought iron fireplace mantels that will give your old, tired fireplace the facelift needed to meet your home décor standards. The fireplace should be the central architectural element of the room, so you want to be sure you have the fireplace tools, screens and accessories required to maintain its safety, style and functionality. Andirons are supports that are used in a fireplace to hold the logs while they burn. 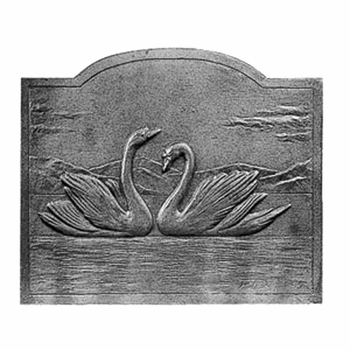 They are available in a variety of designs and can be decorative as well as useful. Instead of leaving your fireplace to sit empty during off-peak months, you can decorate it inexpensively using fireplace candle inserts and screens. Both functional and decorative a fireback protects the masonry of the back wall and radiates the heat of the fire forward. Gather around the fire for good food and good times. 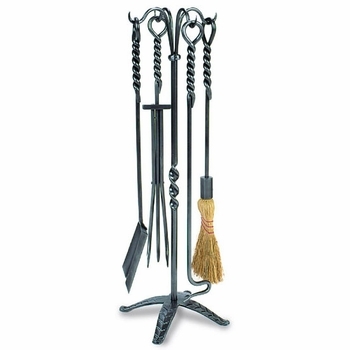 Our assortment of fireplace accessories will help to enhance your fireplace enjoyment. Fenders are low curbs fashioned from metal designed to wrap around the front of the hearth. Their main purpose is to prevent logs from rolling out of the hearth and igniting the floor or rug. The indispensable decorative five-piece tool set; stand, shovel, tongs, poker, and brush is a twentieth century innovation. 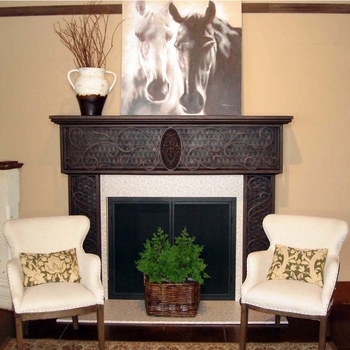 Our selection of intricately detailed folding fireplace screens provide beauty and warmth for any fireplace. 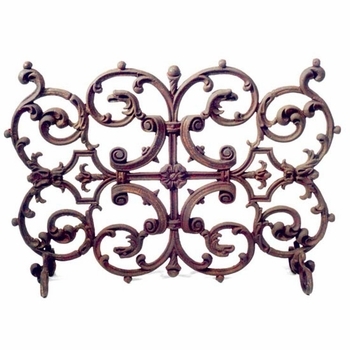 Combining function, beauty and style, a French fireplace screen is a wonderful way to add elegance to your home. A wood-burning fireplace sets the mood for everything from romance to relaxation. 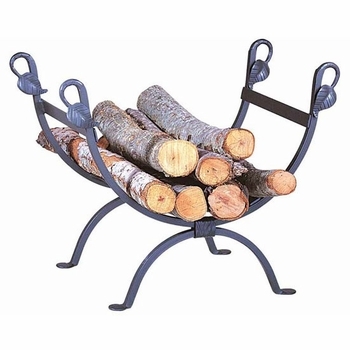 Keep your roaring fire stocked and ablaze with one of our wrought iron log holders.